Bloomsday Guided Tour - 5PM - SOLD OUT! Bloomsday Guided Tour - 4PM - SOLD OUT! Bloomsday Guided Tour - 3:30PM - SOLD OUT! Bloomsday Guided Tour - 3PM - SOLD OUT! Bloomsday Guided Tour - 2:30PM - SOLD OUT! Take to the streets and explore the city of Ulysses on a tour around some key locations from the book. Get a feel for the neighbourhoods that inspired Joyce, visit the address of Molly and Leopold Bloom and learn all about the 'Hibernian Metropolis' in the company of our great guides. Stops on the tour include Joyce’s alma mater, Belvedere College; Eccles St, the address of Molly and Leopold Bloom; the birthplace of Oliver St. John Gogarty, the inspiration for Buck Mulligan; and a whole host of other spots that pop up in the pages of Joyce’s novel. Don’t forget to bring your boater! Bloomsday Guided Tour - 2PM - SOLD OUT! Bloomsday Guided Tour - 1:30PM - SOLD OUT! Bloomsday Guided Tour - 1PM - SOLD OUT! Bloomsday Guided Tour - 12:30PM - SOLD OUT! Bloomsday Guided Tour - 12PM - SOLD OUT! Bloomsday Guided Tour - 11:30AM - SOLD OUT! Bloomsday Guided Tour - 11AM - SOLD OUT! Bloomsday Guided Tour - 10:30AM - SOLD OUT! 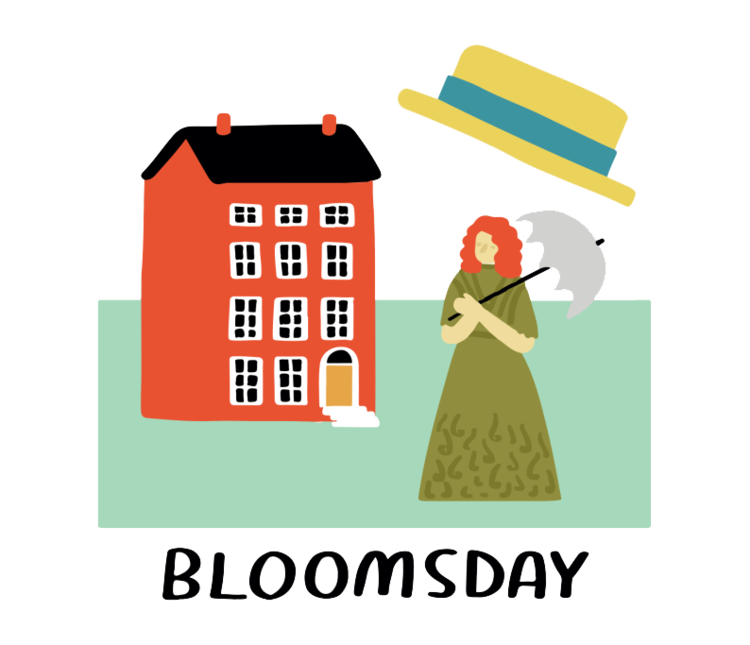 Bloomsday Guided Tour - 10AM - SOLD OUT! Bloomsday Guided Tour - 9:30AM - SOLD OUT!